Beer pong is out, Prosecco Pong is in thanks to the people at Talking Tables, who created the future' favourite party game and are now also our new idols. Yes, Prosecco Pong is 'pon us - as if we needed any more reasons to hang out with our mates and drink a a magnum or two of the fizzy stuff. Beer pong is a staple of house parties - hell, there's even bars that host the game, handing over pitchers of warm beer to fill red cups with. But let's be honest: room temperature Carling is not something we really fancy chugging when we're wearing our new dress. The beer belly, the involuntary burping - it's all too much. Finally, someone has taken notes on and understood our problem with the pong, and thus has created the ultimate in sophisticated drinking games: Prosecco Pong. Honestly, now that it's here I'm genuinely surprised it took this long for someone to catch on to our love of the bubbly stuff and capitalise on it in the best way possible. Talking Tables, a company that specialise in très stylish party accessories, are the masterminds behind our new fave party game. 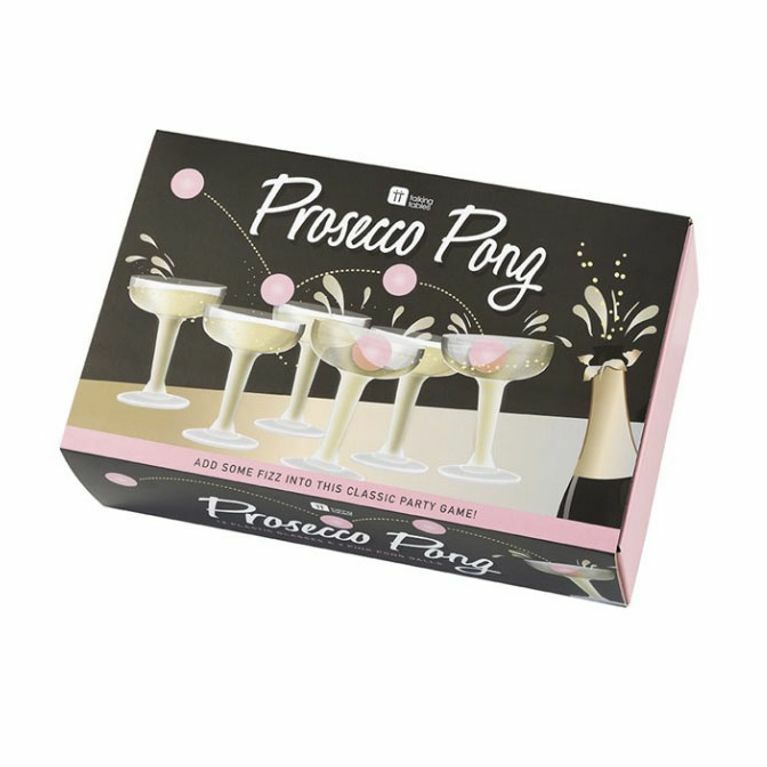 Their Prosecco Pong set contains 12 prosecco glasses and 3 pink - PINK! - ping pong balls. Let's make this messy ol' game as classy as possible! Perfect for a boozy brunch with the gals or challenging your particularly competitive aunt at the annual family barbecue, all you need to do is grab a few bottles of prosecco, have your throwing arm at the ready and watch as things get messy very quickly. And we thought our fave tipple couldn't get any better.